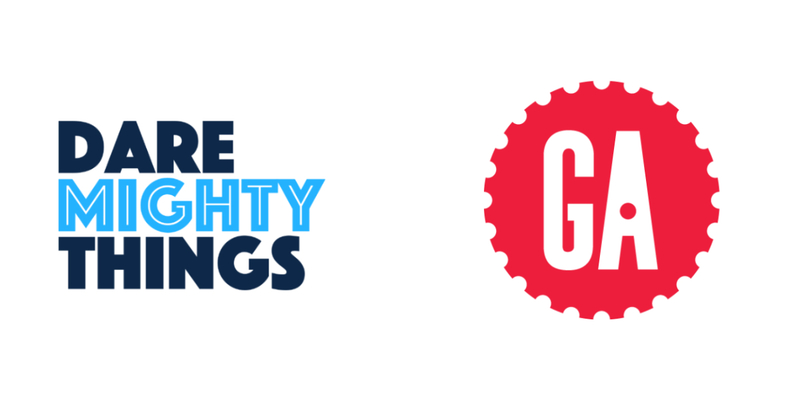 Dare Mighty Things is excited to announce that we've added General Assembly Chicago as a media partner for our world class conference happening this Fall in Chicago. General Assembly (GA) is a global educational company. Focusing on the most relevant and in demand skills across data, design, business and technology, General Assembly is empowering a global community to pursue work they love through best-in-class instruction and access to opportunities. What began as a co-working space in 2011 has since grown into a global learning experience with campuses in 20 cities and over 40,000 graduates worldwide. GA works with students online and in person around the world and thousands of companies as partners in course development and graduate placement as well as through GA’s corporate training and development business. GA helps to provide people with the skills they need to create their own future. That's why Dare Mighty Things is excited to have General Assembly Chicago as a media partner for our incredible conference!